Tools are your life. This 14" Carhartt Signature Tool Bag will treat them with respect. It's built from durable 1200D poly and is water repellent. It is equipped with 15 exterior pockets and 17 interior pockets to carry all your tools for that day. It has a metal frame which allows easy access into the large main compartment. Carrying this bag to the work site is easy. It has comfort grip haul handles and a removable, adjustable should strap. 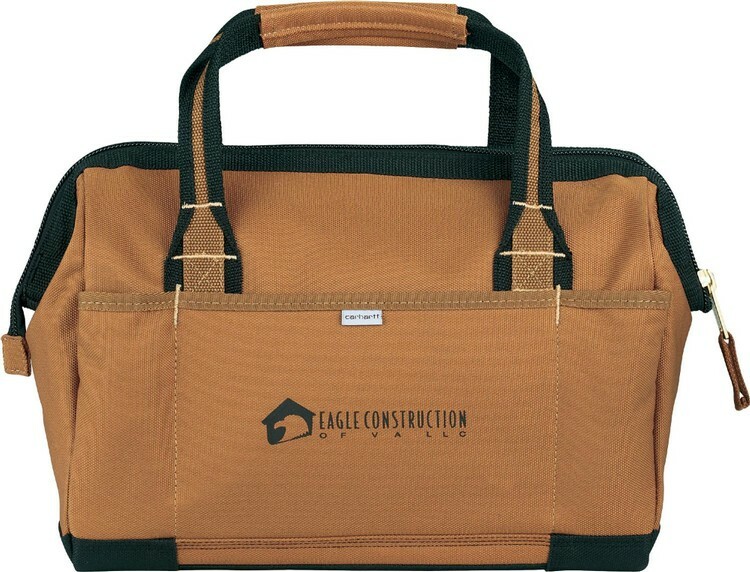 This is the tool bag you want to be seen carrying onto the job site.